Dibangun pada 2009, Hotel Niwa Tokyo adalah pelengkap yang nyata di Tokyo dan pilihan yang cerdas bagi para wisatawan. Dengan lokasinya yang hanya 4km dari pusat kota dan 60km dari bandara, hotel bintang 4 ini menarik perhatian banyak wisatawan setiap tahun. Para pengunjung ke hotel ini dapat menikmati berjalan-jalan di obyek wisata populer kota ini: Tokyo Wonder Site Hongo, Museum Kriminologi Universitas Meiji, Dokyo Dome City. Hotel Niwa Tokyo menawarkan pelayanan sempurna dan segala fasilitas penting untuk memanjakan para wisatawan. Ada beberapa fasilitas hotel ini seperti WiFi gratis di semua kamar, resepsionis 24 jam, fasilitas untuk tamu dengan kebutuhan khusus, penyimpanan barang, Wi-fi di tempat umum. Sebagai tambahan, semua kamar tamu memiliki sejumlah kenyamanan seperti televisi layar datar, lantai karpet, kopi instan gratis, teh gratis, minuman selamat datang gratis untuk menyenangkan semua tamu. Hotel ini menyediakan sejumlah fasilitas rekreasi seperti pusat kebugaran, pijat, taman. Hotel Niwa Tokyo adalah destinasi serbaguna bagi Anda sebagai akomodasi hotel yang berkualitas di Tokyo. Perlu diketahui bahwa hotel dirancang sebagai bangunan tahan gempa. Kamarnya bersih dan staffnya friendly. Tetapi lokasinya agak jauh dari pusat kota. The location is good. Quiet. A convenience store right next to it. Tokyo Dome, toei and jr lines nearby. Room and bathroom all good. In room amenities great. The bed is very good for sleeping. Staff very helpful. Travelled in a group of 5 adults. And stayed 2 nights. The hotel was quite close to JR suidobashi station. A lot of restaurants nearby, convenient but not too busy like ginza or shinjuku, good for those who’d prefer a quiet stay like us. Room is not big, but acceptable in the Tokyo standard. Overall it’s clean and comfortable. stayed over 20 different hotels this trip in tokyo. and i think this is one of my top fav few. Traditional but convenient. they have relaxing room, gym(which provides towels) overlooking a garden, reading room, vending machine (that dispense sim card etc), washer, printer/PC etc... toooo well equipped!!! 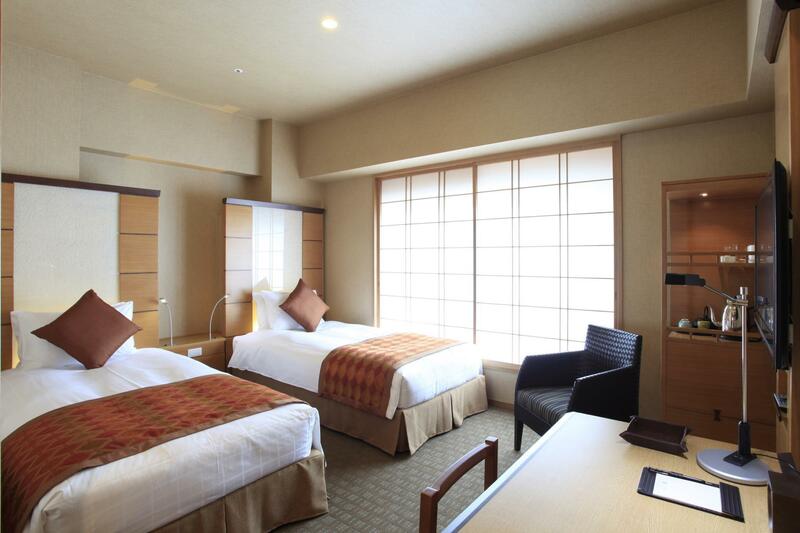 love the paper-doors and overall comfort level of the room (super spacious for tokyo). definitely coming back. only downside is that it is a distance to the train station (at least it is quiet in the area at night). it will be perfect if there is public bath facility (haha). The location is convenient for my industry so it’s the second time I have stayed here. I love this beautiful hotel, rooms are fairly small but so comfortable and cosy, with gorgeous design touches. You’re provided with pajamas and I could snuggle in them all day. My only issues are that the window blind behind the paper screen does not provide a good blackout, and that breakfast is crazy expensive. There are plenty of coffee shops nearby though. The room was quite large, big comfy bed, great large bathroom as well, and had a decent view. The staff spoke English well enough, and it was very easy to find (although a bit of a walk from the nearest station). Nothing to complain about. Very comfortable and clean, with all the necessary amenities, including discounted rates to eat in the hotel restaurants. Location is a short walk from Suidobashi station which can be a little hassle if travelling with big luggage, but otherwise very conveniently near Tokyo station, Akihabara and Ueno areas. Really good hotel in a good location Western style room with Japanese feel My room was small but well organized Will book again if in Tokyo My only concern has been regarding the bed, 140cm double is really small, and the facility room, about coin operated laundry there are only two machines always busy and of the slow kind (60min to dry), however a congestion status is available in the in room tv, they could make an effort to add at least a third machine set. We stayed in the Hollywood twin room, it's two twin beds put together. It's my first time seeing this type of room and what a great idea, my husband and I don't have figth over the covers. I was also surprised how big the room was, as I was told the rooms in Japan are small but feels like a North America standard size room. The staffs were very helpfully, I contacted them before arriving to Tokyo to help me book a few restaurant reservations and it was done in a timely manner. I highly recommend this hotel. We loved everything of the hotel -- room, amenities, service, and location. I highly recommend this hotel. Room is clean and even comes with a clothes and fabric disinfectant for hotel guests. Toilet bowl is high tech (like most Japanese toilets) and seat warmer is perfect for winter. There is even a retreat lounge on the third floor, with massage chair, vending machine, laundry machine. Location is superb. Many authentic restaurants, nice bakery and convenience stores within the area. It’s between suidobashi and jimbocho station. Walkable and not too far. I am very thankful to be staying in hotel niwa during the new year period where the hotel even organised mochi making session, sake tasting sessions at the lobby for hotel guests. Last but not least, front office staff are Super Super friendly and helpful in addressing our request. Thank you so much for giving us a great experience in Tokyo. Good job team! 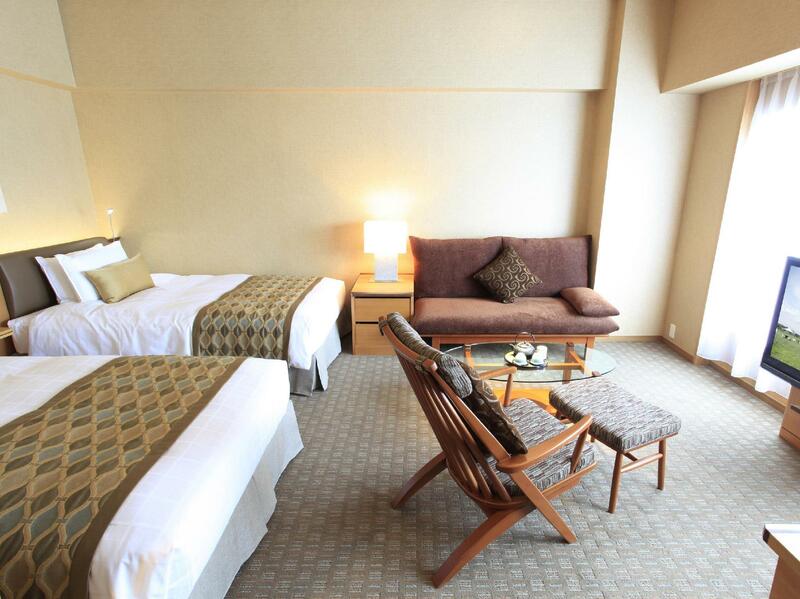 Hotel Niwa is my preferred Tokyo hotel. A short walk from Suidobashi Station and Tokyo Dome. There is a conbini a few doors down, as well as many restaurants in the nearby area. My room was spacious for a Japanese hotel room with a nice comfortable bed. There are less expensive hotels in the area, but I would pay the extra for the experience I had there. The room is very nice and tidy. I don't really like the bathub because it's quite old fashioned. But everything's nice except the location is a bit far from train station. But if you can walk fast it's just 7-8 mins walk. Hotel is very comfortable and stuff is very kind,available in English . Around hotel is one of the best area to eat and drink. 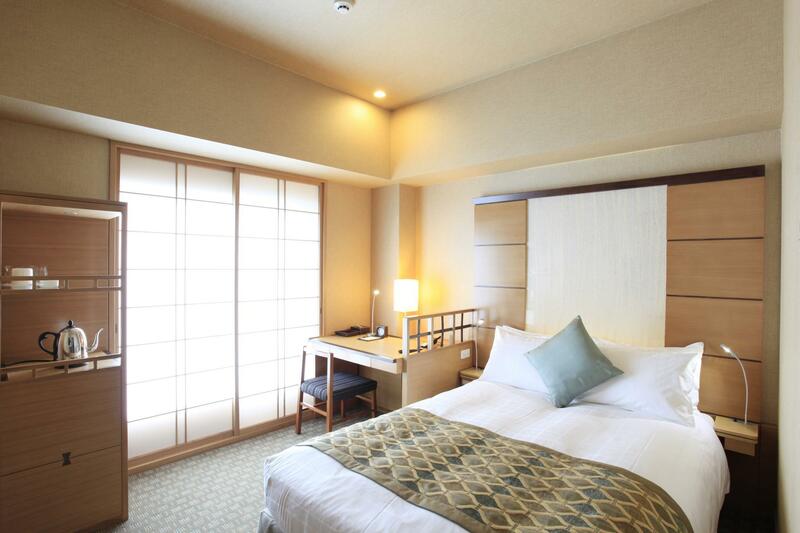 Why not stay there,cheaper than Shinjuku and Akasaka .This hotel is very near Akihabara and Ocyanomizu. 10-15 minutes walk from suidobashi station JR line take east exit, turn right and cross the street (bridge is above you), walk until you find family mart (you take right direction), continue walk straight until you find drug store and cross the street (megane super in front of you) and cross the traffic light and walk straight and you can find Niwa Hotel signboard location nearby. We stayed in a semi double room and it was enough for two persons. 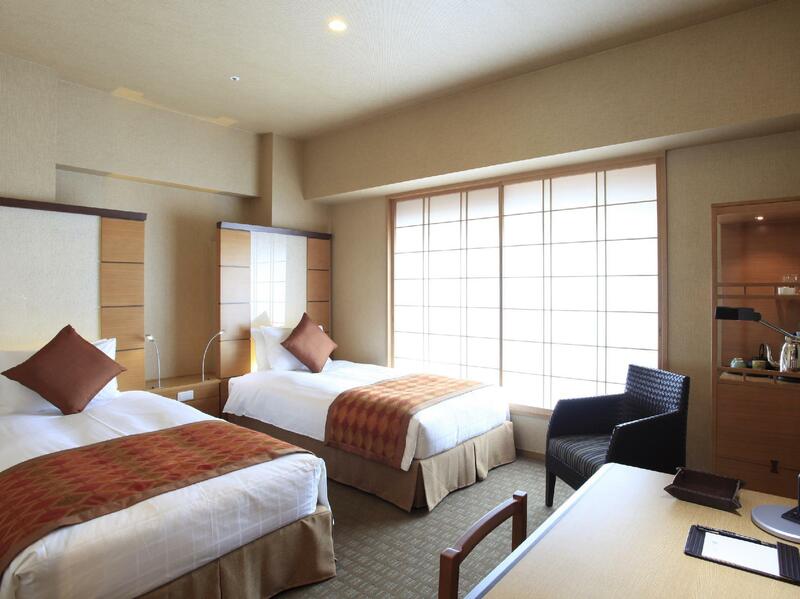 The hotel is close to two stations Jimbocho and Suidobashi which make it a lil convenient. The hotel is clean and rooms are updated. I wouldn't mind staying at this hotel again. This hotel is not a gorgeous, luxurious one, but a charming one. 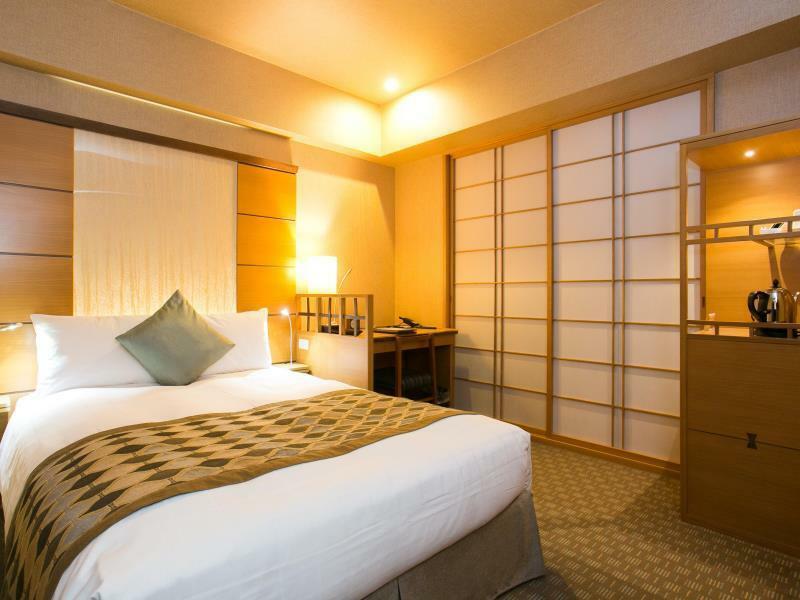 Just 4-5min walk from Suidobashi stn, hotel is in quiet location while quite convenient. Staff is well trained with supportive attitude, good at English proficiency. Hotel room is mot grand in size, but offers stylish Japanese atmosphere owing to furniture, sliding doors, and japanesque things. One of the good examples is the lobby itself. Lots of non-Jp visitors also stay here. In bathroom shower toilet is of course equipped. They have a excellent Japanese restaurant as annex however I didn't try previous time. Will try next time. I also recommended this hotel to a friend of mine from south East Asia, looking forward to hearing from him as a foreign visitor. All the hotels in japan are clean. But this one was really nice for the money. Great location near shopping, good restaurants, subway, etc. I recommend if you want to try a budget hotel in the city center area.